Leah Juelke, a language arts educator for English learner (EL) students at Fargo South High School and the 2018 North Dakota Teacher of the Year, has received another prestigious award of recognition for her service in education. 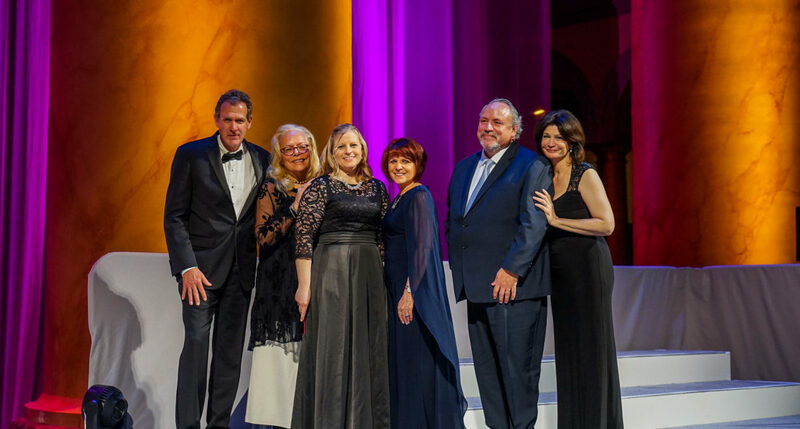 On Friday, Feb. 8, Juelke was presented the Horace Mann Award for Teaching Excellence and $10,000 at the NEA Foundation’s Salute to Excellence in Education Gala in Washington, D.C. She was among only five educators to receive the Horace Mann Award nationally. In her time as an EL instructor at Fargo South, she has implemented many innovative projects and practices, including helping to coordinate the EL curriculum across disciplines, so that the students can fast-track their English skills. Additionally, Juelke has helped to encourage her students to tell the stories of how they came to live in Fargo in their “Journey to America” narrative writing project. Her students don’t just write their stories, they also host public readings in their community and across the state, to share their stories, in very raw and emotional terms. 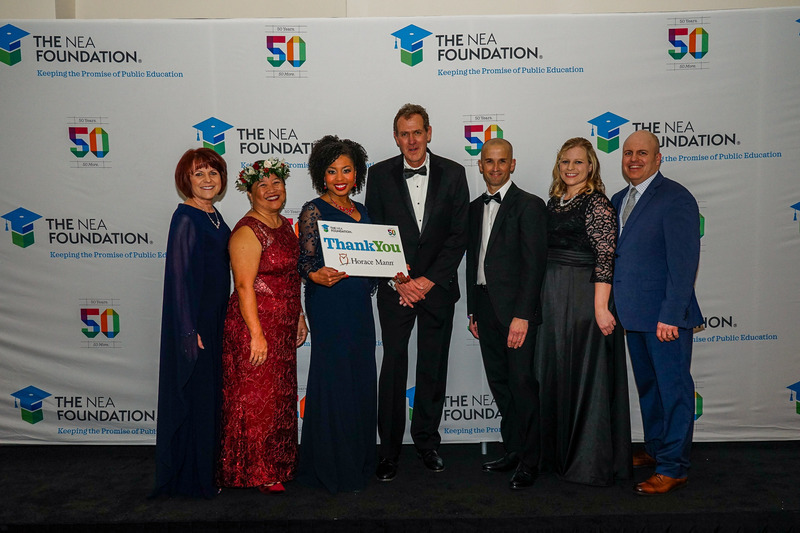 From left, Sharon Gallagher-Fishbaugh, NEA Foundation Board Chair; Cynthia Tong, Horace Mann Awards for Teaching Excellence recipient (HI); Cicely Woodard, NEA Member Benefits Award for Teaching Excellence recipient; Allan Robinson, Senior Vice President, Horace Mann; Matthew Bacon-Brenes, Horace Mann Awards for Teaching Excellence recipient (OR); Leah Juelke, Horace Mann Awards for Teaching Excellence recipient (ND); Dan Ryder, Horace Mann Awards for Teaching Excellence recipient (ME). Juelke is a member of North Dakota United, and her local affiliate, the Fargo Education Association. ND United chose Juelke as their state nominee for the Horace Mann Award. The NEA Foundation Gala was emceed this year by TV star Malcolm-Jamal Warner and TV news anchor Soledad O’Brien. An estimated 930 guests were in attendance, and the event was livestreamed to a global audience on the NEA Foundation website at www.neafoundation.org.